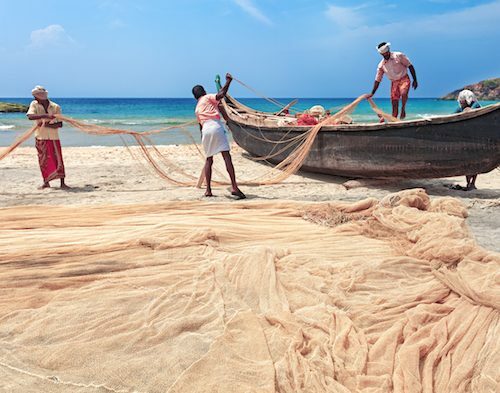 This tour takes in a small but perfectly combined selection of some of the best bits in Kerala. 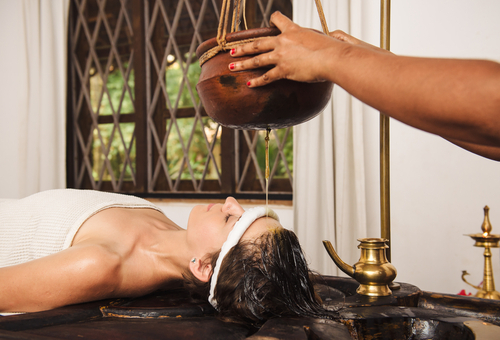 You will start in historic Fort Cochin, a great base to begin any trip here, before moving on to rural Kerala, the tea growing region of Munnar, the famous Keralan backwaters for a night on a houseboat, and finally the golden sands of Mararikulam for 2 nights of relaxation at the end of your trip! 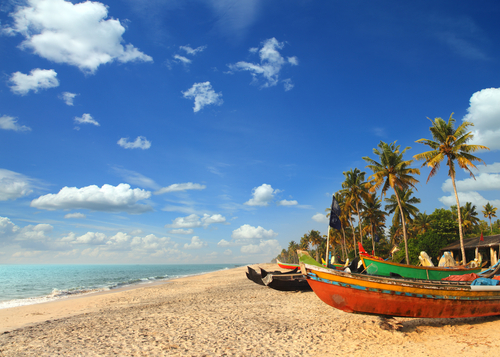 Fly to Cochin today to start your Kerala adventure arriving the following morning. Your driver will meet you at the airport to take you to the picturesque port of Fort Cochin around an hour from the airport. 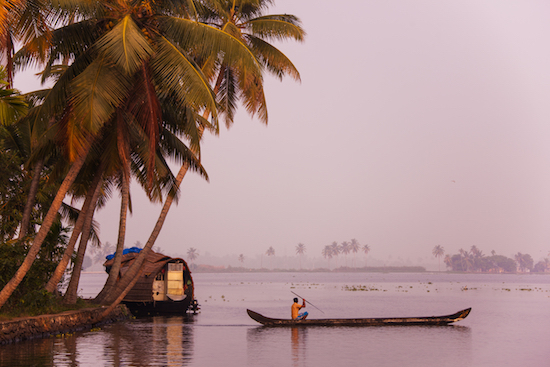 This place is bursting with history and is the perfect insight into Kerala’s vibrant and diverse culture. Have the rest of the day at leisure. You might want to head out and start exploring or perhaps just enjoy the lovely weather and swimming pool at your property. Explore the historic sights of Fort Cochin with your guide this morning where each corner holds an example of a bygone era that still stands proud. 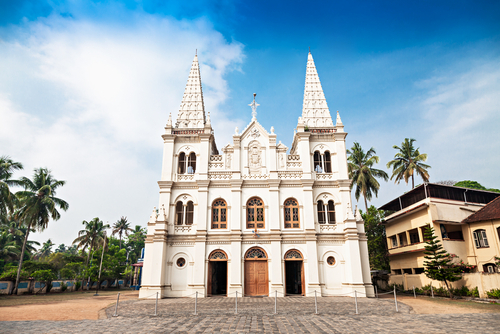 As you travel through the colonial streets you will pass sights such as the oldest church in India, St Francis, the Dutch Palace and the Santa Cruz Basilica. The rest of the day is at your leisure. If you would like to attend a Kathakali performance tonight, which originates from Kerala, please let us know or ask at your hotel on arrival. Today you driver will transfer you in to rural Kerala to Thodupuzha. Here, you will be staying at a wonderful homestay called Dewalokam. Set on an organic farm, you will be welcomed in to the family, spending time with them and gaining an insight in to the local life. 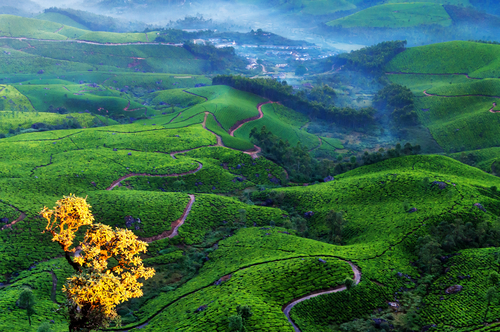 Today your morning will be spent driving through the beautiful countryside up to the tea and spice plantations of Munnar in the Western Ghats. With stunning views surrounding you, you might just like to relax this afternoon or perhaps enjoy one of the many activities the hotel can arrange for you such as bird watching or cycling. DAY 6	- A DAY OF TEA! 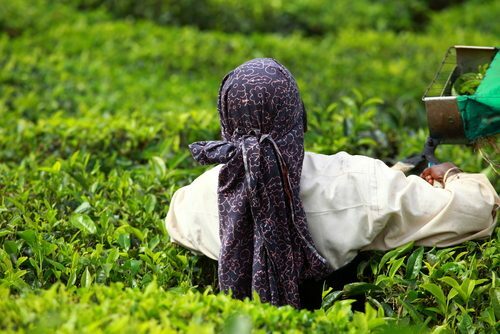 Today you have a wonderful opportunity to experience the world of tea in south India. 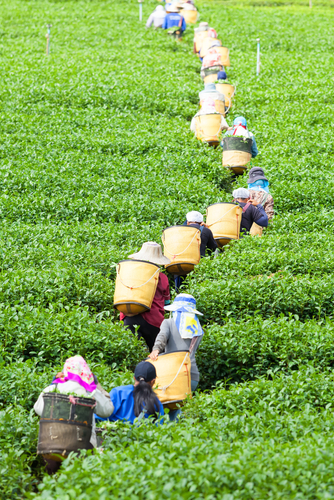 You will have a tour of a working tea factory, learning the process tea leaves go through from picking to tea cup, before enjoying a tea tasting and a walk through the tea plantations, witnessing the tea pickers at work! 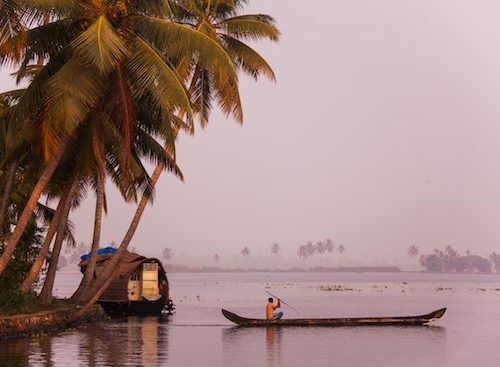 Today you will journey back towards to coast in time to board your traditional houseboat for an afternoon cruising along the famous Keralan backwaters! 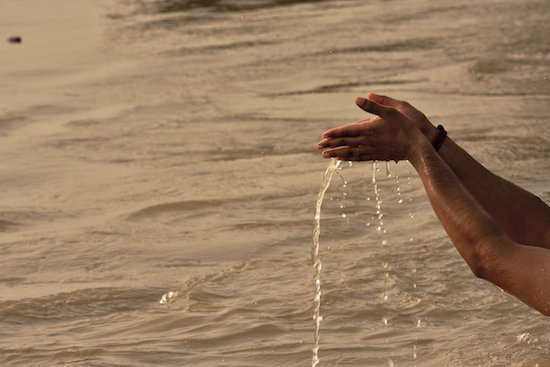 A serene and peaceful experience, watch the life on the waters edge as you drift along the waterways. Enjoy dinner and an overnight stay on board. DAY 8 - HEAD TO THE BEACH! 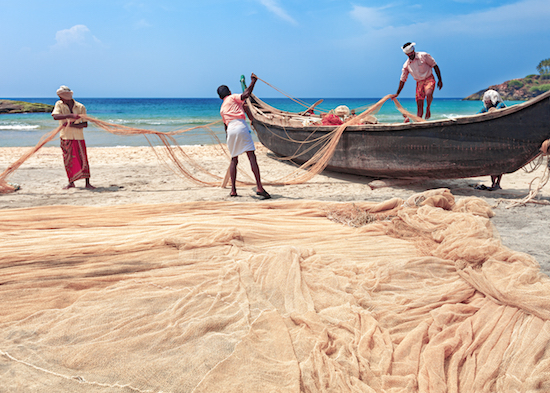 After breakfast on board, you will disembark and journey to the beautiful golden sands of Mararikulam. Check in to your beach side hotel and relax! 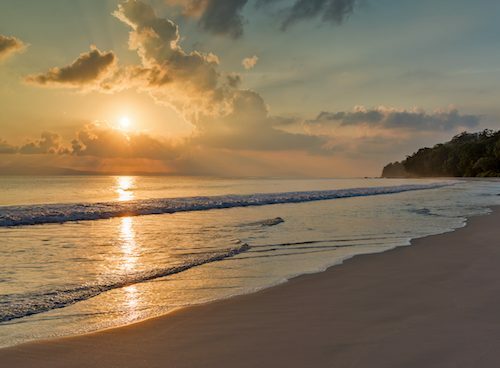 Enjoy your time at leisure on the beach. 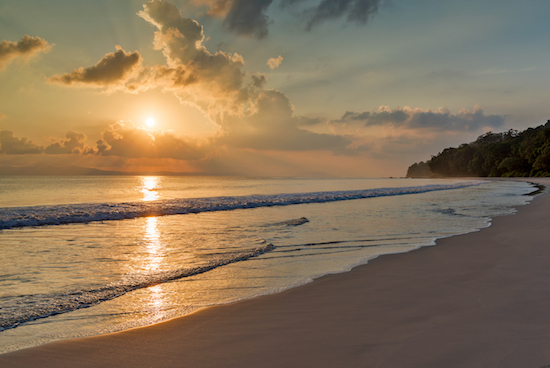 Perhaps indulge in a massage or a sunrise yoga session! 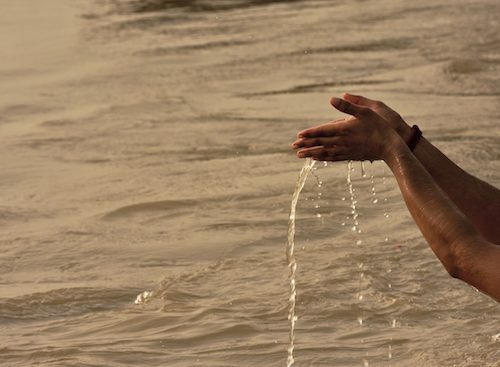 Today your time in India comes to an end. Your driver will transfer you back to the airport in time for your international flight home. Safe flight! This itinerary costs from £1000.00 per person B&B (full board at Dewalokam and on the houseboat) and is based on two people sharing during the high season (Oct-Mar) excluding the Christmas and New Year period. The price includes all private transfers and domestic travel but not international flights.